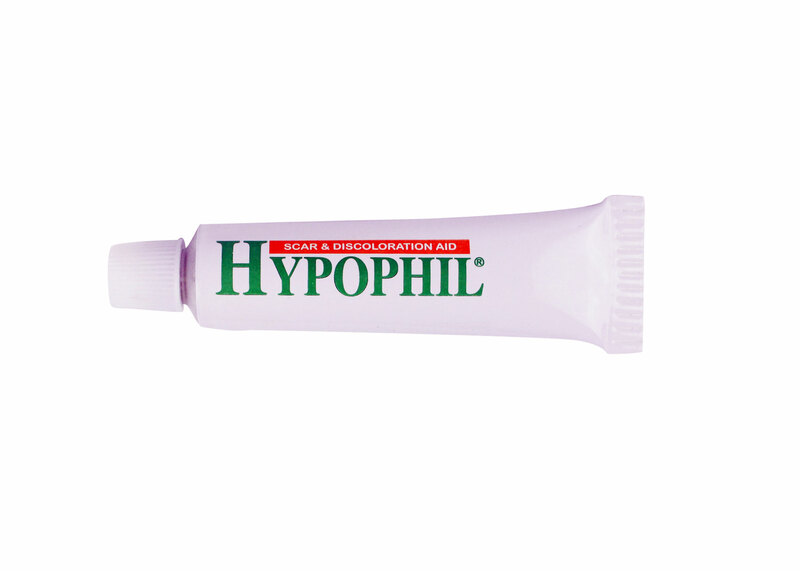 Hypophil is specially crafted to prevent and restore the effects of hyperpigmentation and hypopigmentation. The ingredients and their concentrations were carefully formulated and balanced to maintain melanin production at a natural pace. Hypophil helps revive damaged melanocytes by having them mimic their functional neighboring cells. Throughout the healing process, Hypophil focuses on reducing inflammation with minimal inhibition and disturbance of melanogenesis in order to achieve steady stimulation of melanocyte cells. 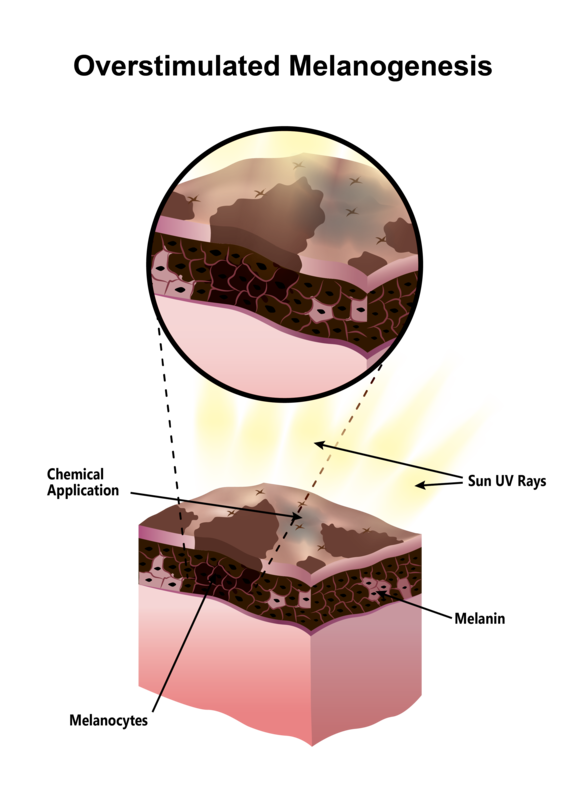 Undisturbing malanogenesis plays an important role in preventing altered melanocytes which lead to pigmentation defects that contribute to absent or uneven production of melanin. A natural balance in melanin production and distribution blends the scar with its surrounding skin, significantly reducing its appearance. Ginger Root (Zingiber Officinale) has been used in a variety of applications throughout history. It is commonly used as an ingredient in cooking, however due to its unique properties it can also be used to treat several health related issues as well as hypopigmentation of the skin. Ginger is known to be a traditional Chinese medicine and it is highly recommended as a cure to skin discoloration. Topical application of Ginger Root has been shown in several studies to help get rid of hypopigmented skin or white scars. Ginger can work by stimulating the melanocytes of damaged skin cells to produce melanin. Increased melanin results in restoration of natural skin color. Hypophil contains the melanocyte stimulating properties found in fresh Ginger Root which is preserved throughout our formulating process. Over stimulation of melanogenesis leads to increased pigmentation in the skin. Causes include inflammation, sun exposure and excess topical application of chemicals that stimulate melanin production. Hypophil helps prevent and lessen hyperpigmentation by reducing inflammation, accelerating the healing process and by using a special balance of ingredients that help regulate melanogenesis so that melanin production occurs at a natural pace and is evenly distributed throughout the area of the damaged skin. It is highly recommended to cover your skin while your wound is healing to avoid UV rays from the sun which can also result in hyperpigmentation. Hypopigmentation or whitening is the result of melanin’s absence in the skin. Causes include injury, poorly stimulated melanocyte cells and the abundance of collagen. When skin is wounded, the pigment, melanin which gave the skin its natural color is lost. Melanocytes, the cells which produce melanin are damaged and stop producing melanin. 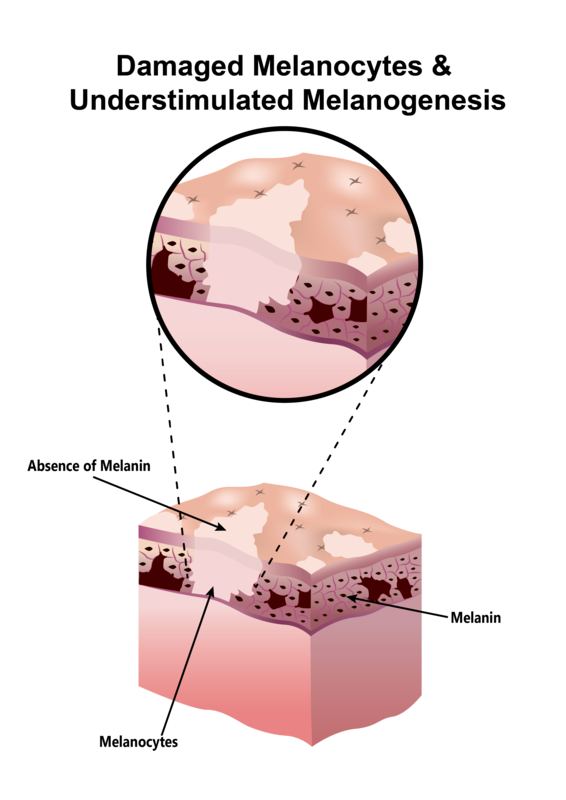 Scar tissue builds up to fill the wound and prevents any remaining melanin from reaching the skin’s surface where it can be visible. Melanin inhibition is further increased by the use of popular topical treatments known to lighten and whiten skin such as Retinol (Vitamin A), Niacinamide (Vitamin B3), Vitamin C and Vitamin E as well as herbal components such as Aloesin (Aloe Vera), Astaxanthin, Arbutin and Centella asiatica. Hypophil aids in skin discoloration such as hypopigmentation by maintaining the health of melanocytes and keeping them stimulated to produce melanin at a natural pace. Damaged melanocytes are influenced by the powerful unique properties of Ginger Root which help restore their function. The abundance of scar tissue is softened and broken down allowing melanin to reach the skin’s surface. Perfectly balanced concentrations of other ingredients such as Allium Cepa, Allantoin and Rosemary Seed Oil help stimulate melanogenesis steadily and redistribute melanin uniformly which blends the hypopigmented area with its surrounding skin color, significantly reducing its appearance. Restore pigment to improve the appearance of vitiligo. 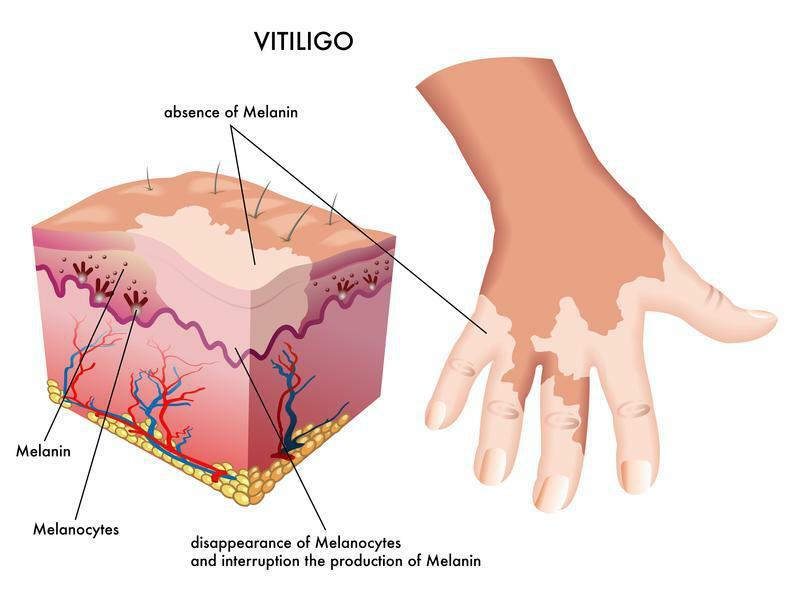 Vitiligo is a skin pigmentation disorder. Specifically, it is the hypopigmentation of the skin caused by the progressive destruction of melanocytes. Melanocytes are cells found in the skin that are responsible for producing melanin. Melanin, a photosensitive compound that protects the skin from the ultraviolet radiation of sunlight gives the skin its color. When melanocytes are damaged, melanin production stops and the affected areas of the skin turn white. Hypophil Scar & Discoloration Aid contains powerful substances that promote the stimulation and regeneration of melanocytes in the skin resulting in the restoration of your skin’s natural color.